Even though every type of soil has the potential to stain clothes and dirty fingernails, a clever soil sleuth can find subtle differences when equipped with a soil test kit and a healthy amount of curiosity. 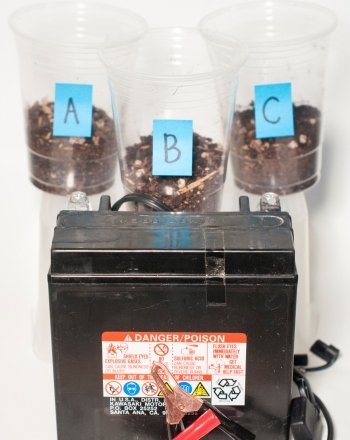 Test out the pH levels of soil in your backyard versus soil in more wild environments to solve this science case. Which type of soil has the highest levels of pH? Before you head out for your outdoor exploration and testing, collect your materials. It would best if you had a small backpack (or a friend) to help you carry everything. 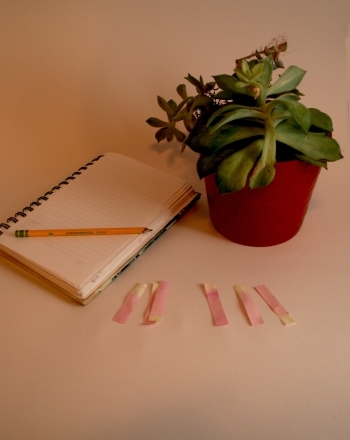 Label your sample with masking tape and a pen. Next, decide on a more natural place to collect soil. This might be a river, beach, desert, grassland, or forest. The best thing to remember about your "wild soil" sample is that the soil should be largely untouched by humans, hopefully from a place away from roads and buildings. Once again, make sure there is no garbage in the soil. Label this sample as well. As you visit each site, make notes about the plants, wildlife, and other factors that might influence the soil in that area. If you were a tiny creature sitting on top of the soil, what would be falling on you? 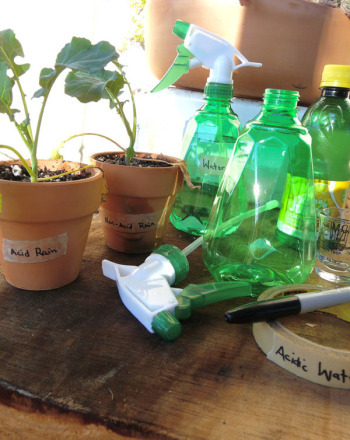 Set up your science lab somewhere outdoors where no one will mind a bit of spilled dirt. Pour out a small amount of soil from both samples. Use your magniftying glass to observe each sample. What is in the soil? Can you see chunks of plant? Ash? Sand? Make notes about your observations. Which sample do you think will have the higher levels of pH? Write down your guess, often called a hypothesis, in your notebook. Now it's time to check the pH. The pH tells you how acidic or alkaline a substance is. 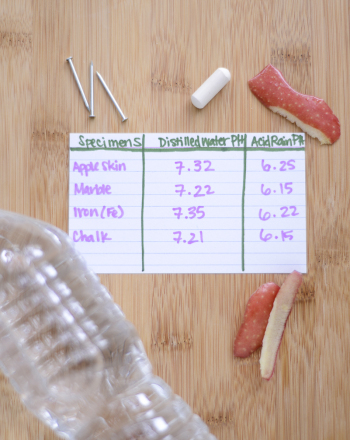 Substances that are acidic measure less than 7 on the pH scale, and substances that are alkaline measure higher than 7. A pH of 7 is neutral, which means it is in the middle. Take out the soil pH test kit. 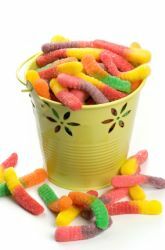 Place a tiny quantity of soil up to the line at the bottom of the kit. Remove the pH test capsule and sprinkle it on top of the soil. Add water until it reaches the top line on the kit. Place the lid on the kit, and shake the contents. Continue to shake it for a few minutes, until it is thoroughly mixed. Let the contents settle before matching the color in the container with the color chart on the kit. What is the pH of your first soil sample? Now repeat this pH process for your second soil sample and write down the results in your notebook. Were your soil samples acidic or alkaline? Soil from your garden should have slightly higher levels of pH than the soil tested from a wild or marshy area. To understand this soil science let's take a closer look at the pH scale. This scale is a little different than a scale used to measure weight -- that's why scientists call it a logarithmic scale. In a logarithmic scale, each number represents a value that is very different from the numbers right beside it. For example, if you have one substance that measures at 5.5 on the pH scale and another substance that measures at 6.5, the first substance is actually ten times more acidic than the second one. What's the difference between something being acidic or alkaline? Well, the pH scale measures the activity of hydrogen ions -- a special type of atom -- so materials with low activity register as acidic, and materials with high activity show up as alkaline. From your soil sleuthing, you found out that soil pH isn't always the same. This is because, out in nature, the presence of trees and marshy areas, for example, affect the amount of hydrogen ion activity in the soil. In gardens, on the other hand, these sort of "wild factors" aren't usually present, resulting in more alkaline soil. Now you're on your way to becoming a soil pH expert, but there's still so much more to learn and discover! Where else can you test soils in your area? Do you think soil that's super dry would have different pH levels than its damper counterparts? 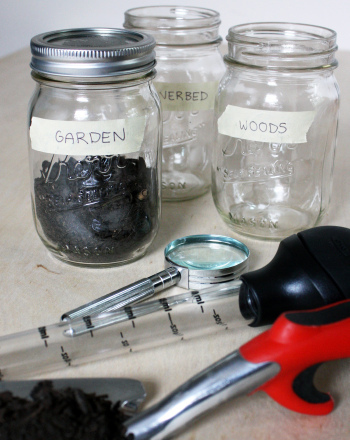 Keep guessing and testing ways to crack soil mysteries just like a real science detective. 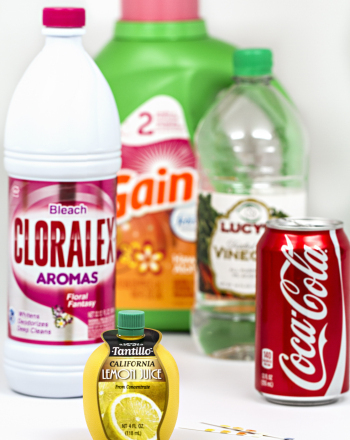 Universal indicator tests the pH value of various household chemicals. Chemicals react with H+ and OH- ions to produce color change. 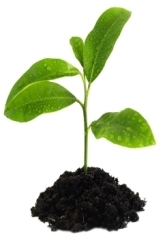 Will Plants Grow More or Less or be Unaffected when Grown in Polluted Soil? 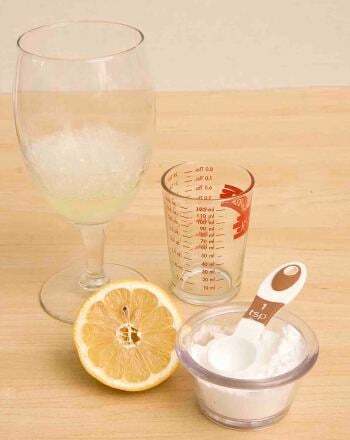 This science fair experiment idea's objective is to understand the general concept of an acid and a base. 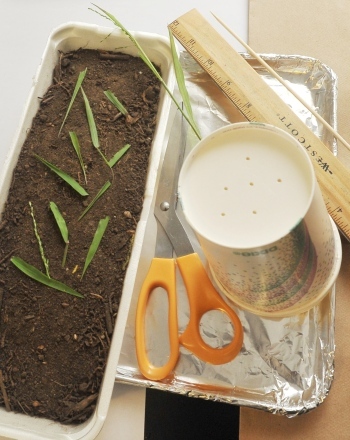 They'll test soil with grass against raw soil in this revealing science fair project idea for 4th grade. How do organic materials become soil? 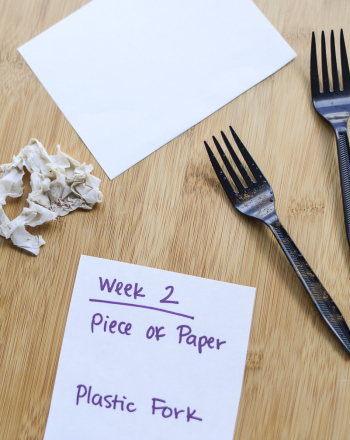 This science experiment measures what materials biodegrade. Write or right? Your fourth grader will need just a little repetition to memorize these homophones.